There are bad days, and then there are days where you become known as the boy who punched his fist through a $1.54 million painting. A twelve year old boy had a very unlucky day at Taipei’s Huashan 1914 creative arts center when, as he walked by Italian Baroque artist Paolo Porpora’s “Flowers”, he tripped, sending his fist into the painting. The painting, which was part of an exhibition on artists who were influenced by Leonardo da Vinci, was insured and the boys’ family did not face any punishment for the accident. The artwork was quickly repaired is already back on display. However, some are suspecting that the incident and the release of its security footage was a publicity ploy for the exhibition, which itself may contain some historical inaccuracies. And indeed, since the incident, traffic to the exhibition has definitely increased. And so have the required distances in front of the works. 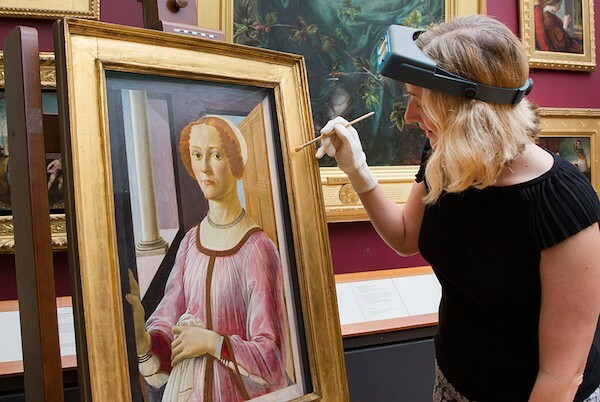 Experts at London’s Victoria and Albert Museum made an unexpected discovery this week in Sandro Botticelli’s Portrait of a Lady known Smeralda Bandinelli (c. 1470–1475). It has long been thought that painter Dante Gabriel Rossetti, who bought the painting at auction in 1867 for £20, had himself added the red hair of the portrait’s sitter, as it demonstrates more Pre-Raphaelite aesthetic principles than Renaissance. However, conservators’ use of new restoration technology to look below layers of paint and varnish on the painting’s surface proved that Rossetti’s alterations focused upon the subject’s face and did not touch the hair. The discovery gives experts a new perspective on the way Botticelli, one of the Renaissance masters, painted, using aesthetics that were previously not associated with his style. 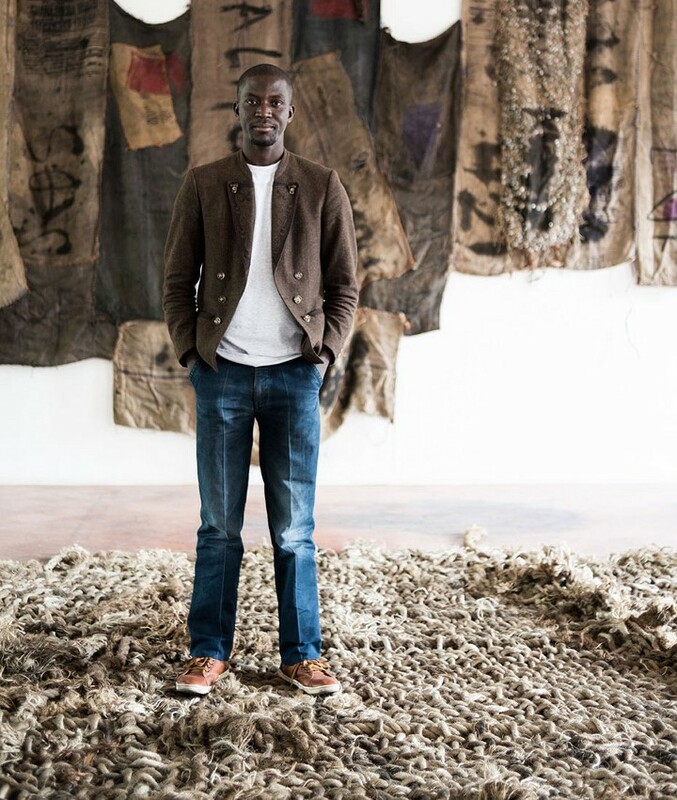 And Simchowitz’s prophecy seemed to be coming true as Mahama’s work gained increasing amounts of attention, including his installation of one of the largest artworks at this summer’s Venice Biennale. However, after he notified Simchowitz and King that over 290 works they had commissioned and that Mahama had signed were not actually from the artist, the dealers are now taking legal action. 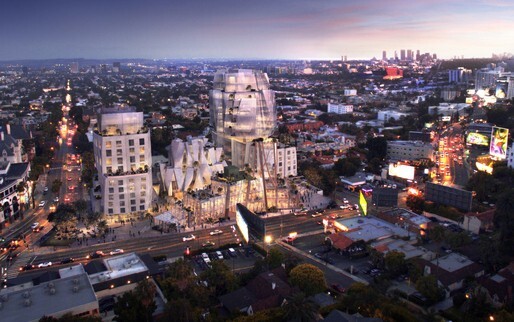 Frank Gehry has revealed his plans for a new, multi-use complex along Los Angeles’ Sunset Strip. Gehry’s $300 million design for the 2.6 acre site includes 5 separate buildings, 249 residential units and a 333,600 square foot complex. The Pritzker prize wining architect’s design will be constructed using “cross laminated timber mullions” and will house a combination of commercial businesses and residential units. While the site now houses a midcentury strip mall, Gehry’s design was inspired by the site’s previous occupant: The Garden of Allah hotel, which was visited by many of the cultural icons of its time including Greta Garbo and F. Scott Fitzgerald. “It was all white, the Garden of Allah. It was low rise, a lot of incense burning, and people in flowing gowns. [Visitors] should feel that they are part of LA, a part of LA that has a culture that comes with it,” explained Gehry. The Metropolitan Museum of Art recently released the plans for its lease of the Whitney Museum’s former location on Madison Avenue. 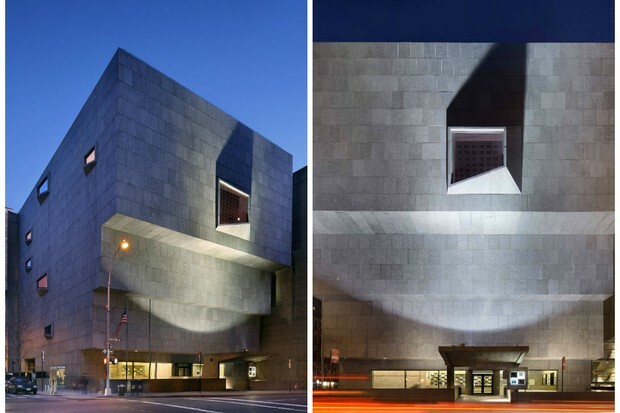 The new building will open in March, 2016 as the Met Breuer, in honor or Marcel Breuer who designed the building for the Whitney Museum in the 1960s. The Met will use the new location to house a collection of modern and contemporary art alongside a garden, restaurant and curated book bar. The Met will restore and upgrade the structure this winter in preparation for its move-in. But the building’s aesthetics will go largely unchanged. “The Met is proud to become the steward of this iconic building and to preserve Marcel Breuer’s bold vision,” said Thomas Campbell, the Met’s Director and CEO. What If the Leonardo Was Bought as an Investment?